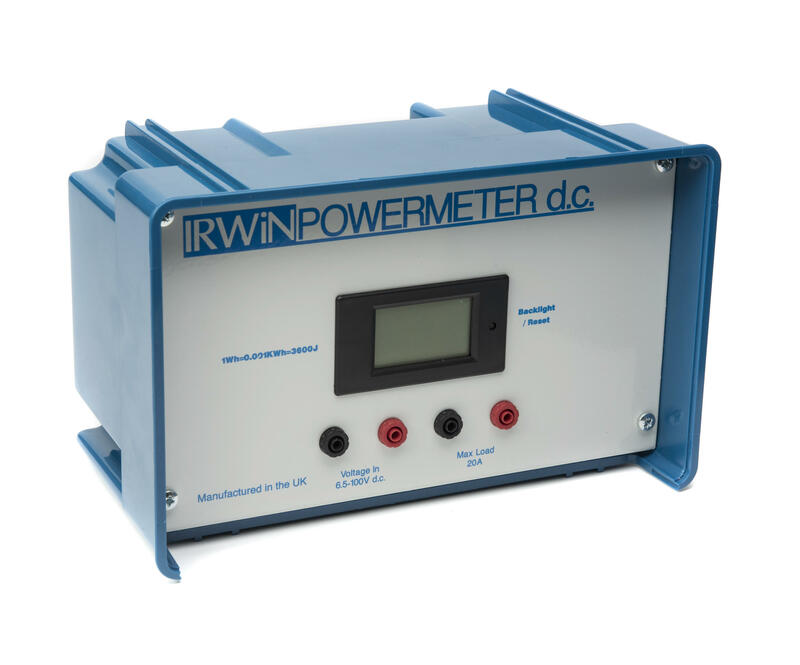 The Irwin Power Meter a.c. uses a large backlit display which displays four important parameters. 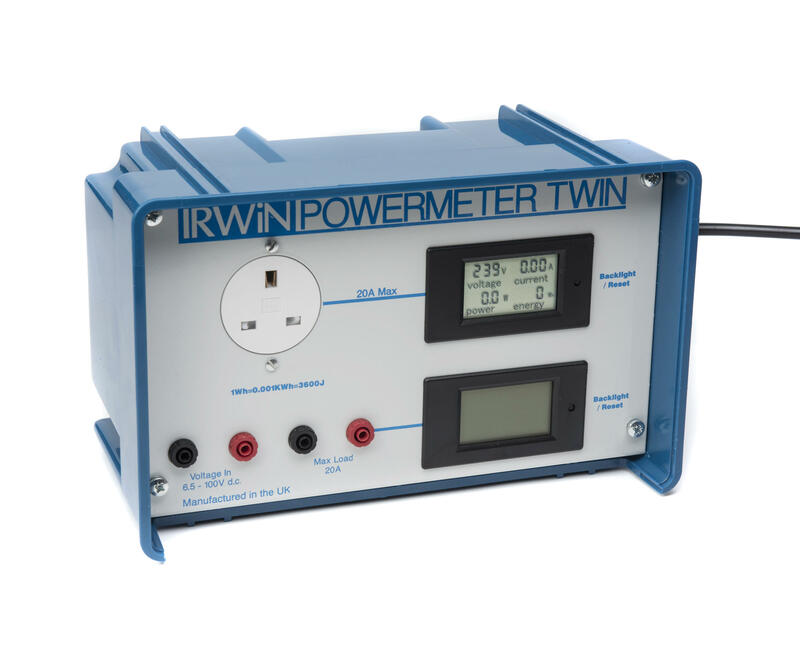 The Powermeter is designed to be plugged into the mains supply. 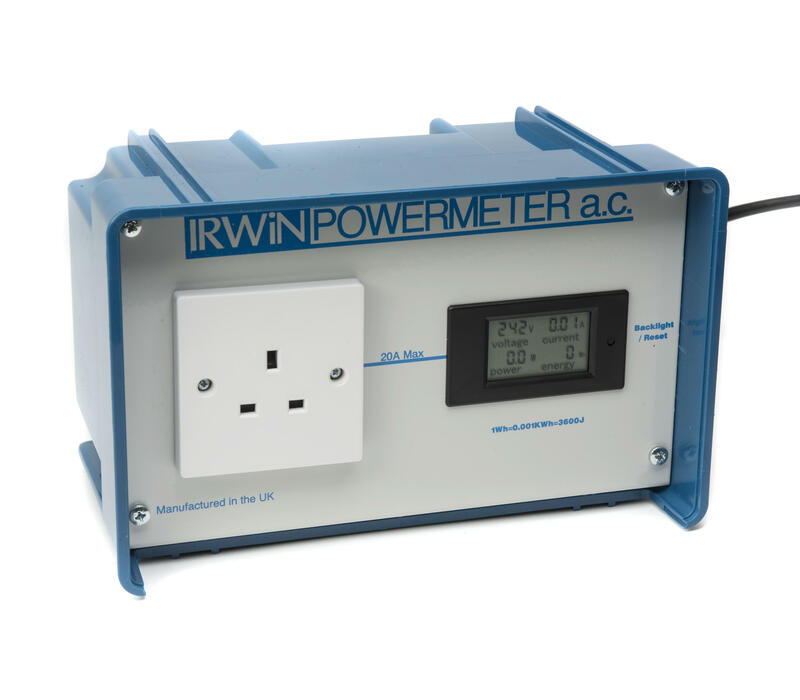 Any mains operated appliance may then be plugged in and voltage, current, power and energy are instantly displayed. The unit operates at any voltage between 80-260V a.c. and will allow currents up to 20A to be drawn. The display unit has a multipurpose push switch which allows the backlight to be switched on or off (the unit remembers the settings when disconnected) and allows the energy reading to be reset.